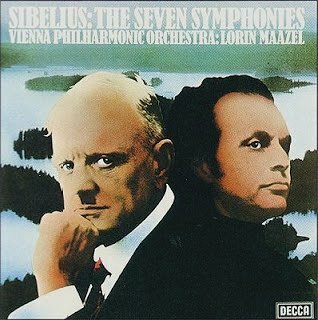 On An Overgrown Path: You're Sibelius aren't you? Neat vodka - not on the rocks, but poured already several degrees below freezing. The first few swallows had tasted of harsh sunlight...and only now did each glass bring the comfort of deepening shadows. His eighth symphony had been written and rewritten over and over again until, after twelve years of self-torment, he had destroyed every sketch and plan, every last cancelled note: page after page of laborious manuscript had been fed to the stove in one final act of renunciation - and release. From then on, silence. The harsh sunlight of hope the twilight of gathering despair - which was worse? It had been a quarter of a century since that glorious conflagration, and getting drunk at least led somewhere: to oblivion. Just then the clowns appeared. At first Sibelius thought the three red-nosed, banana-footed entertainers had to be an impurity in the homemade spirit. they trooped around the side of the house in a small procession through the snow: the leader in long-tailed evening dress and topper, the second a white-faced pierrot, the third turning cartwheels. Top Hat piped them to a halt on an imaginary flute. They stood in the garden looking directly up at the composer. A large sip to bring his visitors into better focus. 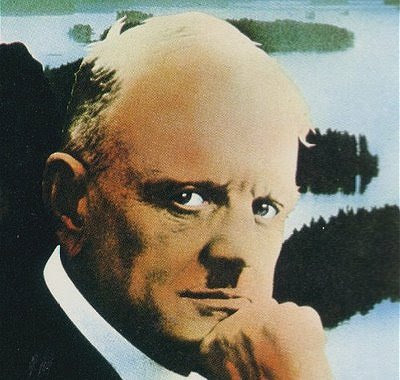 'You're Sibelius, aren't you?' Top Hat raised his invisible flute and played the clarinet solo that opened his first symphony. 'That was a very long time ago,' was the composer's only comment. 'And this?' The final theme from Tapiola, his last completed work, published some forty years later. 'And this?' The clown blew as if across the mouthpiece, letting his fingers caper wildly up and down the stops, but no sound came. He shrugged, then took his imaginary flute in both hands and mimed breaking it in two over his knee. Ron Butlin's surreal fiction has featured here before in Bach and modern technology and Better than working in McDonald's. Today's stranger than fiction story comes from Jean Sibelius is invited to run away and join the circus which is in the same volume of Ron Butlin's short stories as my other two extracts were drawn from. And Sibelius running away to join the circus is not as daft as it sounds. overgrown path has become essential reading for me this year. The place where David Motion nicked the fanfare riff for Since Yesterday, in context it is set against another motif that is similar to the opening 'Just close your eyes and then remember' bit. The same riff was used on 1974 single Beach Baby by First Class, and in 1988 on I Don't Believe In Miracles by Sinitta. This recording is Erik Tuxen conducting the Danish State Radio Symphony Orchestra, 1969.